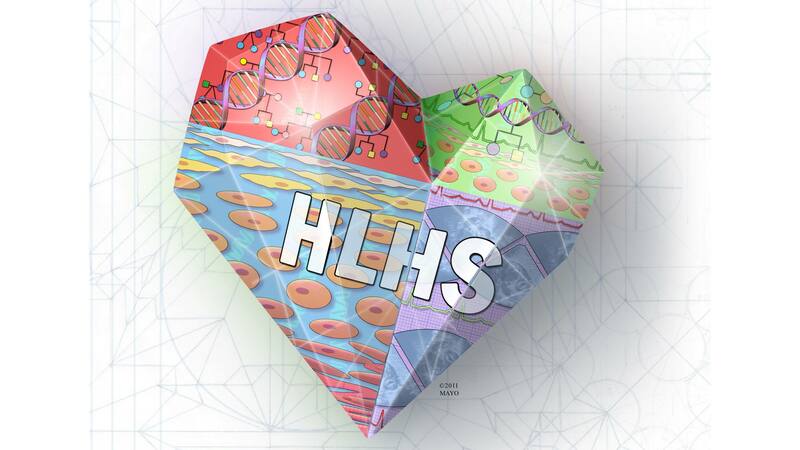 OKLAHOMA CITY — Mayo Clinic's Todd and Karen Wanek Family Program for Hypoplastic Left Heart Syndrome and The Children's Hospital at OU Medicine are collaborating within a consortium to provide solutions for patients with hypoplastic left heart syndrome (HLHS), a rare and complex form of congenital heart disease in which the left side of the heart is severely underdeveloped. "We're thrilled that they've joined the HLHS Consortium because it means that individuals with HLHS will now have more access to participating in groundbreaking clinical trials," says Nelson. Nationwide, this brings the total number of Hypoplastic Left Heart Syndrome Consortium members to six: Mayo Clinic, Children's Hospital of Philadelphia, Children's Hospital of Los Angeles, Children's Minnesota, Children's Hospital Colorado, and The Children's Hospital at OU Medicine. The collaboration is expanding the development of cell-based, innovative research opportunities to transform the lives of people living with hypoplastic left heart syndrome. Harold Burkhart, M.D., who leads the pediatric cardiothoracic surgery team at OU Medicine, says being a member of the Hypoplastic Left Heart Syndrome Consortium establishes Oklahoma as a regional center for families to receive care closer to home. "Families of children with heart anomalies want to know that we're not just resting where we are. We need to keep pushing forward to come up with newer treatments," Dr. Burkhart says. "This collaboration provides new hope for patients and it is the epitome of a bench-to-bedside research project." The consortium aligns regional centers into a collaboration led by the Todd and Karen Wanek Family Program for Hypoplastic Left Heart Syndrome at Mayo Clinic to accelerate innovation on hypoplastic left heart syndrome, discovery sciences and clinical expertise by investing local resources back into research. At The Children's Hospital at OU Medicine, pediatric staff blend years of training with education, research and technology to improve the lives of children throughout the region. The obstetric emergency room at The Children's Hospital at OU Medicine is a regional referral center for the state, and the neonatal ICU provides the highest level of newborn care in Oklahoma. The hospital is also home to the only 24/7 pediatric emergency room in Oklahoma City. With a family-centered approach to healing, the hospital offers resources from pet therapy to child life specialists who help families cope with hospitalization and illness. From advanced surgical services to general pediatrics, oncology care and more, The Children's Hospital at OU Medicine provides cutting-edge research and treatments through hospital-based and outpatient services. To learn more, visit The Children's Hospital at OU Medicine website.